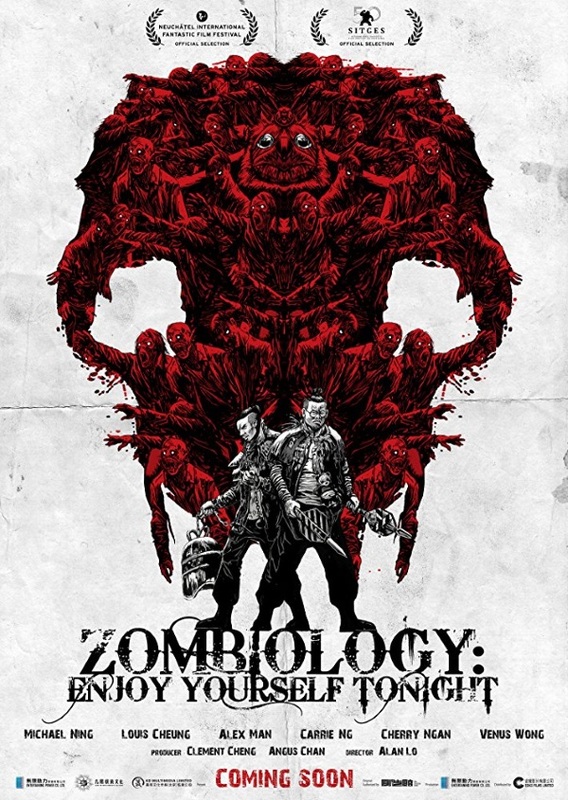 “Zombiology” was ok. Despite a couple of unusual ideas, he doesn’t really bring anything new to the zombie-table. It takes a while to really get going (even though, for once, this was a Chinese movie that actually was considerably shorter than two hours, you still would have been able to trim this to 90 minutes with losing anything essential), a couple of plot developments are rather clichéd and thus predictable, the closer we get to the end the more melodramatic it all gets (after a mostly humorous beginning), and at the end it tries rather ham-fistedly to convey an oh-so-profound message. Furthermore, I once again had problems with the combination of serious and silly elements (like the “chicken”, for example). That’s simply a mix that rarely works for me. However, “Zombiology” is mostly entertaining, especially during the middle part, which not only offered some really gripping scenes, but even a couple of very effective emotional moments. It was well shot, the acting was ok, and it had a couple of cool scenes and ideas, and even though for me, the middle part is its highlight, I nevertheless also quite liked the showdown. Overall, it’s nothing special, but if you want to enjoy yourself tonight, you definitely could do way worse than watching this. This entry was posted in /slash, cinema 2017, movie reviews, new releases and tagged /slash, /slash 2017, 2017, Alan Lo, china, Enjoy Yourself Tonight, Hong Kong, Nick Cheuk, Zombiology. Bookmark the permalink.